Six members of the House of Representatives introduced a bill on Wednesday that would include ethanol produced by nontraditional means, such as coal- and gas-derived ethanol, in the federal renewable fuels mandate. Ethanol derived from petroleum-based sources would be competing in a market currently dominated by corn-derived ethanol. Other biofuels have been slow to reach commercial viability, and some of the most promising next-generation fuels have yet to even leave the laboratory, so demand for new sources of ethanol has climbed higher and higher. 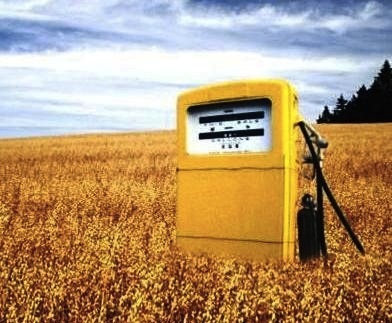 The bill has been condemned by an ethanol trade group, the Renewable Fuels Association, which said that “there is nothing renewable about fossil fuels and they have no place in national renewable energy policy.” The bill is also likely to draw the ire of environmental groups, many of which oppose the use of ethanol as well because of the environmental impact of industrial farming and the carbon footprint of the fuel. Support for the bill has come from the National Cattlemen’s Beef Association, the National Chicken Council, and the Grocery Manufacturer’s Association. Prior to the rapid increase in the use of corn-derived ethanol, the majority of America’s corn crop went to feeding livestock, but now 40% of America’s corn is used to make ethanol. Use of ethanol from petroleum-based sources could lessen the demand for corn. Meanwhile, another bill is pending in the House which would reduce the federal renewable fuel mandate when corn supplies are low. As it stands, the Renewable Fuel Standard mandates the use of 13.2 billion gallons of alternative fuels this year, most of which will be corn-derived ethanol.